Product #5975 | SKU CSS-830 | 0.0 (no ratings yet) Thanks for your rating! 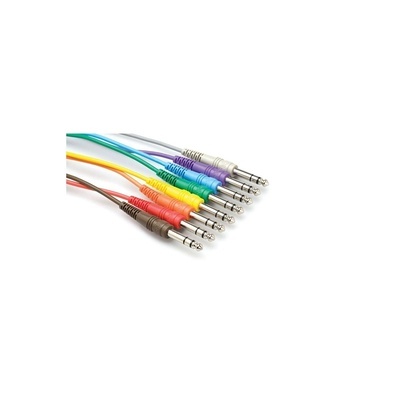 Hosa Balanced Patch Cables 1ft (8 pack). Each cable is 1ft long and is individually color coded for easy identification. These cables are designed to interconnect pro audio gear with phono jacks. They are ideal for use with mixing consoles and patch bays.